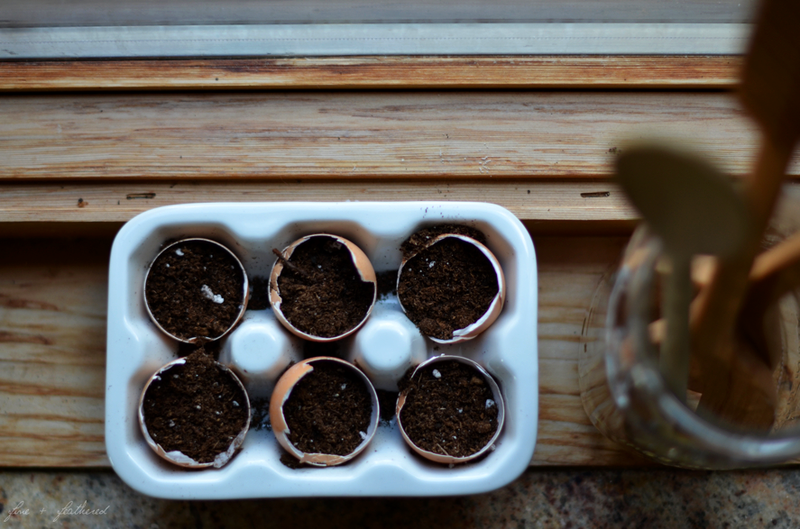 A few weeks ago I came across a photo on tumblr or pinterest of someone starting their plants off in the bottom of eggs. I didn't see any instructions or anything but figured, how hard can it really be? So I started rising out and saving the bottom of my eggs after use. I got a little potting soil and some seeds from our local tractor supply and got it started. It's pretty darn simple - I filled them up about halfway with potting soil, sprinkled my seeds in each on and then topped off with a little more soil and gave them a little bit of water (just enough to dampen the soil).